As third-party lens makers, ZEISS already make lenses with mounts to fit Canon and Nikon DSLRs, and supply designs to Sony for their Alpha DSLRs and NEX mirrorless models, so it’s not really surprising to see the maker expanding with lenses of their own for mirrorless cameras. The first two lenses unveiled, which incidentally feature AF, are the Touit 2.8/12 (18mm equivalent) and Touit 1.8/32 (50mm equivalent). Priced at $1,250 and $1,000 respectively, both lenses are available with mounts for the APS-C format Sony NEX and Fujifilm X series cameras. ZEISS have stated they have no intention to offer lenses for the smaller MFT format cameras. 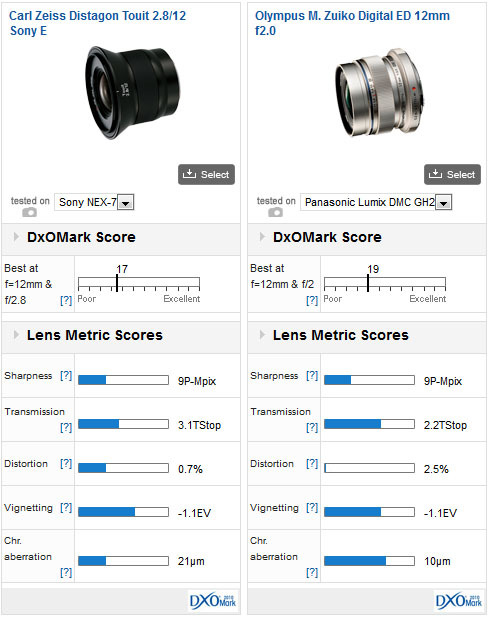 With a DxOMark score of 22 points mounted on a Sony NEX 7, the 1.8/32 lens averages out just ahead of its closest equivalent rival, the Panasonic-made, Leica-branded Summilux DG 25mm f/1.4 (50mm f/1.4) but there’s a catch. First, the Panasonic made Leica lens has a faster maximum aperture, which is more complex to correct for. 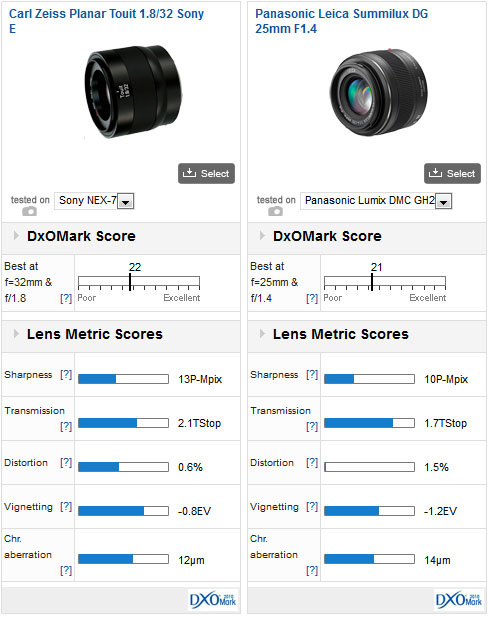 Second, the 18-Mpix sensor used by the Lumix GH2 has a lower pixel count than the 24-MPix unit of the NEX-7, making it difficult to make direct comparisons between the sharpness scores. Overall, though, the two are very close in sharpness, and similar overall in image quality. When the second lens in the series, the ultra-wide Distagon 2.8/12 (18mm equivalent), is compared against the faster yet not as wide Olympus M.Zuiko Digtial ED 12mm f/2.0 (24mm equivalent) the ZEISS lens fares quite well. While it’s not as sharp as the Olympus or its 1.8/32 sibling, with such an extreme angle of view it’s not likely to be. What’s more, it has excellent light transmission and very low distortion and vignetting. The only downside is noticeable Chromatic Aberration when paired with the NEX-7. 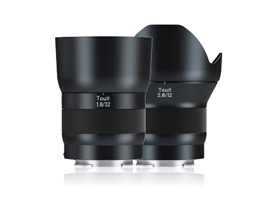 The two new Touits from ZEISS live up to our expectations. While we’re unable to test these lenses on Fujifilm X-Series cameras currently, the results are likely to be very similar. On the Sony NEX-7, both lenses are very good indeed, excellent even, but the high price is likely to give potential purchasers pause for thought.